Whether you’re a cruising old timer or a first timer, there something in this issue of World of Cruising for everyone. They say that once the cruise bug has bitten you, you stay bitten, but everybody has a first time, so this issue we’re trying to answer some of the most commonly asked questions of cruise virgins (p42). From what time of year to go, to what the food is like and what to pack for the journey, we’ll try and offer some useful advice. 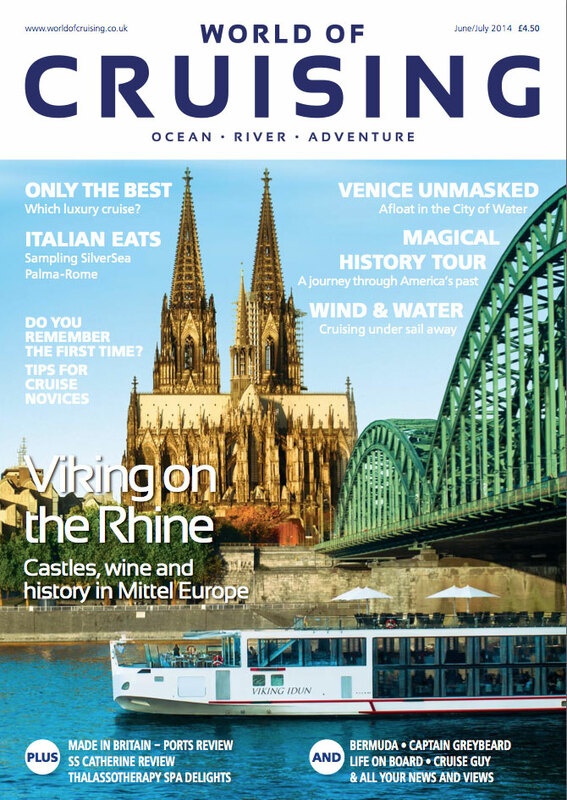 This month, World of Cruising’s managing director Chris Pitchford broke his cruise duck with a river cruise along the Loire valley on Uniworld’s newly launched SS Catherine. Suffice to say that he loved it and is well and truly smitten, as anybody following his increasingly ebullient tweeting (another first for @chrispitchford1 – see p70) will testify. There’s a review of this handsome new ship inside (p50), and in the next one Chris will be providing a more in­depth, personal review of his experience. Elsewhere in the issue our regular cruising guru Gary Buchanan gives his considered thoughts on subjects as diverse as what’s happening to cruising in Venice (will they or won’t they close the Grand Canal to cruise ships? P28) and what really constitutes ‘luxury’ in the cruise market (p58). When someone with Gary’s authority speaks it’s worth listening as his recent cruise writing award from CLIA bears testament. Another voice of experience that you’ll be hearing a lot more from is John Honeywell. Our columnist, Captain Greybeard (p74), is joining the WoC team as editor from next month. There’s plenty more to enjoy from cruising on the Rhine, under sail and down the Snake River in the US. We’re checking out Cozumel and Bermuda, providing you with all the cruise news and ship reviews you need. And let’s not forget our spa section (p75), Three of a Kind ports review (p26), Life on Board (p34) and cruise cuisine (p54). There’s so much in fact that I can’t fit it all in this column. Why don’t you just jump in and enjoy!